The fumes, dust, debris and smoke caused by the 9/11 World Trade Center attacks continue to kill first responders, volunteer rescuers, workers and Manhattan residents to this day, almost two decades later. Though the cloud has dissipated, it lingered for months after the attack, invading people's lungs and airways, and sometimes leading to permanent damage. In addition to causing cancer, the dust cloud and burning building material has led to tens of thousands of claims related to respiratory illness. Below, we outline some of the illnesses covered by the 9/11 Victim Compensation Fund and the WTC Health Program. This list is not exhaustive and you should call our attorneys to find out if you qualify for compensation and medical monitoring. Please call Eisbrouch Marsh in New York at 212-643-0044, or in New Jersey at 201-342-5545, for a complimentary case review. Asthma makes it difficult to breathe. It may also cause tightness in your chest and shortness of breath. It arises when your airway narrows. It is often accompanied by swelling and a buildup of mucus in the airway. There is no way to cure asthma, but it can be controlled with medications, inhalers and other treatments, as well as learning how to avoid triggers. This syndrome is exactly what it sounds like. You may cough endlessly, finding it difficult to speak. It may occur along with other conditions, such as asthma or GERD. Also called COPD, this is caused by chronic bronchitis, emphysema or other lung conditions. COPD means you have difficulty breathing. Exposure to the toxic dust and fumes at Ground Zero may have damaged your lungs and caused COPD symptoms. These symptoms tend to worsen over time and may include tightness in your chest, wheezing and a productive cough. COPD can make it difficult to live your life as actively as you did previously. Although there is no cure, you may find your symptoms are alleviated by oxygen therapy and medications. 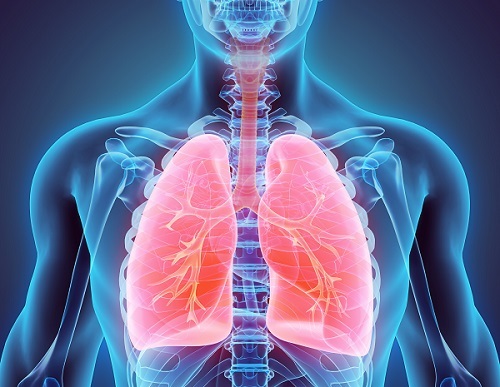 Unfortunately, some people eventually need lung transplants because of these lung disorders. This term refers to any ongoing respiratory disease you are experiencing, such as asthma, COPD and pulmonary hypertension. Also known as chronic sinusitis, this condition is caused by inflammation and swelling of the areas surrounding the nasal passages. It prevents mucus from draining, leading to a buildup that causes facial swelling and difficulty breathing through your nose. It often occurs with asthma. You may need steroids, immunotherapy and other treatments to control it. Heartburn, chest pain, regurgitation of food and other uncomfortable symptoms may be caused by GERD. It causes stomach acid to flow from your stomach into your esophagus. These symptoms can be very difficult to live with. Your esophagus may become inflamed by the acid reflux. You may have to make lifestyle changes and take prescription medications in order to alleviate symptoms. Exposure to irritants like asbestos, silica dust and other building material can cause interstitial lung diseases. Treatment with medications can help you control your symptoms. ILDs worsen over the years, sometimes requiring lung transplants. RADS causes asthma-like symptoms that develop after exposure to smoke, particulates and fumes. The result may be wheezing and difficulty breathing that interferes with your quality of life. This condition occurs with asthma. It refers to the hyper-reactive responses of the airways to an asthma attack. This list does not include every possible illness that would be covered under the Compensation Act. Consult our attorneys if you do not see your diagnosis listed. If you have developed respiratory illness or another ailment, and you are wondering if you qualify for the 9/11 Victim Compensation Fund and other benefits under the Zadroga Act, please call Eisbrouch Marsh in New York at 212-643-0044, or in New Jersey at 201-342-5545, for a complimentary case review. Our experienced, compassionate attorneys can determine your eligibility.